We are all different. In fact your teeth are as unique as you are. That’s why we take the time to get to know you, understand your concerns and tailor a personalized and detailed treatment plan to your specific needs. We specialise in dentistry for children and adults alike. 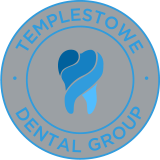 As you walk into Templestowe Dental Group you can expect a warm reception. Throughout your visit we will endeavour to make you feel as comfortable as possible. After all a trip to the dentist shouldn’t just be as painless as possible – it should be inspiring.